Coming from a German tabloid so there is a question mark as to the validity of the story but here’s a translation of the article. Auto bild motorsport is reporting that they have an exclusive. According to them Ferrari legend Ross Brawn has signed a deal with (the new F1 owner) Liberty Media to become the successor of one Bernie Ecclestone. They also report that the governing body, that is the FIA, have agreed to this. As we all know the FIA president Jean Todt worked very close (and successfully) with Brawn from 1997 until 2006. On the questions when the deal becomes official news and what Ecclestone will do after that they have no answer. As we all know he has worked successfully for teams like Benetton, Ferrari and Brawn GP. I, for one, credit him for the Mercedes team too, as he helped build it up to what it is now. 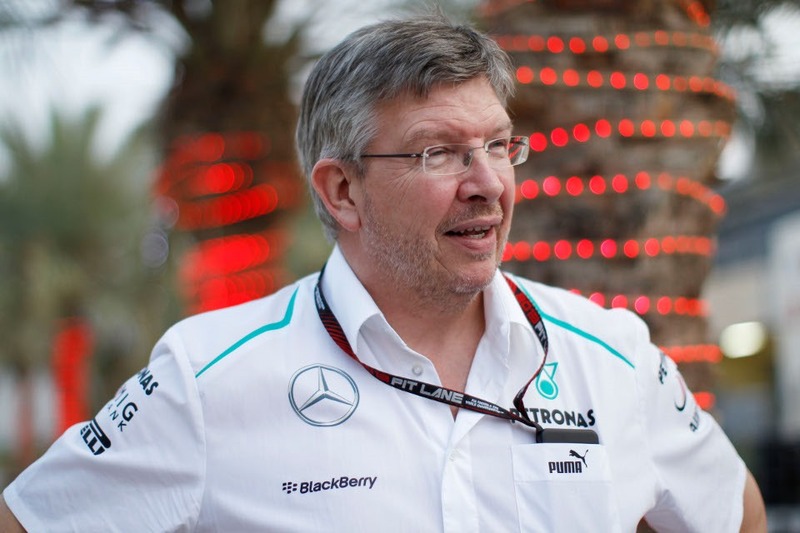 Brawn has been the architect of the success Michael Schumacher enjoyed. It is an understatement to say Brawn knows what he does and he is good at it. The numbers of titles alone is mind blowing. And the fact that he has had such different positions in teams shows us that he is a capable man. Bild is reporting that alongside Brawn the main candidates to replace Ecclestone were Christian Horner and Formula E boss Alejandro Agag. The American based media empire that is Liberty Media wants to rejuvenate our beloved sport and they gather that Brawn is the best way to do it. For those of you who read my other piece around the Spanish GP you’ll know that I wanted the same. I think Brawn at the top is the best F1 decision for decades. Let’s hope this all comes through! Awesome! Thanks, Bruznic. You’ve become TJ13’s resident translator. Let’s see what this brings. Don’t forget all shenanigans the man was involved in. But maybe that’s necessary bagage for this job. If it’s true then it’s a great choice on quite a few levels. It will inspire a great deal of confidence in both fans, teams and manufacturers alike. He and Liberty are going to have their work cut out understanding and dealing with the multiple cultural forces moving against motor racing and even cars generally. The Toad has done little for the sport in at least ten years. At least you’d have to think Liberty will get the media side of things sorted. FWIW, Brawn’s signature on the Bianchi report still burns me deep. As far as I’m aware he’s yet to address the whole thing publically. A more cynical person might suggest that this appointment is a kickback for his part of absolving “F1” of any blame in the circumstances around the incident. I think this appointment if indeed true – has more to do with appearance than substance.